Caroline, who was actually born with the name Blanche, was born in 1883 as the thirteenth child of Jules Delacroix and his wife, Catherine. The French couple were living in Bucharest when Caroline was born, as her father was seeking his fortune there. Little is known of Caroline’s childhood, other than she had little money and in her mid-teens became a barmaid and then a prostitute in order to support herself. At the age of sixteen, Caroline was living in Paris and was in a relationship with a man called Antoine-Emmanuel Durrieux. Her boyfriend was a gambler and made a living from betting and acting as Caroline’s pimp. 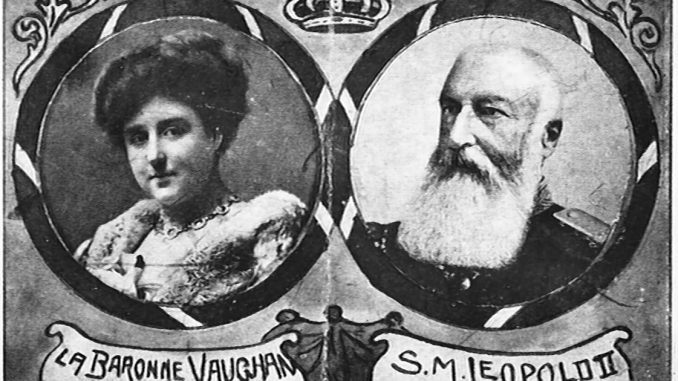 Caroline began to meet rich and powerful men because Antoine arranged for her to prostitute herself to the higher classes, which was how she happened to meet King Leopold II of Belgium. In 1900, the Belgian King was staying in Paris. He had heard rumours of Caroline’s charms and her simple upbringing and was intrigued by her and so he arranged a meeting with her. The meeting took place the next day; Caroline only knew she was meeting a very high-profile man and did know she was meeting a King. When she discovered who Leopold was, she became flustered and mistook him for the King of Sweden. Luckily Leopold found this funny and thought Caroline was rather amusing and invited her to go to Austria with him. The sixty-five-year-old king sent trunks and plenty of money for Caroline to fill them with the finest clothing for her trip. After their first trip away together, the pair became lovers, which caused an outcry from the press. Leopold had plenty of mistresses and lovers before Caroline and was even nicknamed ‘the king of the Belgians and the belles’, but the fact that the elderly man was involved with a sixteen-year-old prostitute was a step too far. One Belgian newspaper wrote that the King no longer had to visit prostitutes because now prostitutes came to the King. Caroline was seen by many as a threatening figure who controlled the king with her charms, to the detriment of his country. The teenage girl was blamed for many problems and failures in Leopold’s reign when in reality she had little to do with any of the issues; the negative press accelerated after the death of Leopold’s estranged wife Queen Marie Henriette in 1902. At this time Leopold’s global reputation was worsening due to his horrific mismanagement of The Congo Free State, of which he was the self-appointed ruler. In Belgium, however, it was his relationship with his mistress Caroline that did more damage to his reputation than the countless brutalities his rule brought upon the Congolese people. 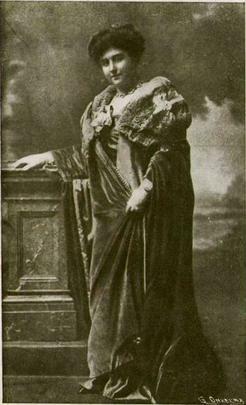 Even in the case of the scandals surrounding The Congo Free State, Caroline was often blamed and nicknamed The Queen of the Congo due to the money which Leopold extracted from his colony and lavished upon his mistress. Of course, Caroline was not perfect herself, but it is difficult to believe the idea perpetuated by the Belgian socialists that she was in control of Leopold entirely and the elderly man was no longer mentally fit to reign. Leopold and Caroline’s relationship continued despite the negative attention from the press, and the King did not hide his mistress away from the public eye, Caroline attended many public functions including the funeral of Queen Victoria. Their relationship was generally strong, and Leopold doted on Caroline, giving in to her every need. He spent a fortune on his mistress, providing her with estates and expensive clothing and jewels. Leopold even constructed a new road for Caroline to her French Villa to make it easier for her to get there and had train timetables re-arranged to better suit her timings for shopping trips. Understandably the Belgian people resented the amount of time and money the King spent on Caroline, rather than concentrating on ruling. Over the years the couple had two sons called Lucien and Philippe. The children and Caroline were all that could snap the king out of foul moods as he became older and he liked to spend his days with his new family, becoming estranged from his children from his marriage to Queen Marie Henriette. 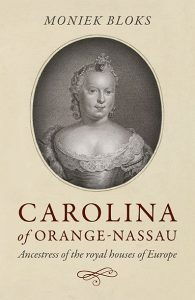 Caroline and the children were given titles by the King in this period, and Caroline was entitled Baronness Vaughn. In 1909 Leopold became unwell with an intestinal problem; it was then that he and Caroline were married in haste. On 12 December after almost a decade together Caroline and Leopold were married in a religious ceremony. The Vatican recognised the marriage in accordance with the rules of the Catholic Church, but Belgian citizens were appalled that it had been allowed. Many people proclaimed that because no civil ceremony had taken place, the pair were not truly married under Belgian law. Leopold died with Caroline by his side after turning away his daughters from his previous marriage. Leopold made sure to arrange for staff to protect Caroline after his death as he knew she would no longer be safe in Belgium without him there. Leopold left vast numbers of properties and huge amounts of money to Caroline and made sure that their children would be well provided for throughout their lives. It is believed that upon the King’s death Caroline received around ten per cent of his estate. It was not plain sailing for Caroline however after Leopold died as she faced legal battles with his daughters for years over Leopold’s will and finances. In the year following Leopold’s death, Caroline married her former lover Antoine Durrieux who adopted her children, but the marriage did not last long. Caroline had a number of partners after this but never remarried. She died in France in 1948, leaving behind the details of her eventful life in her memoirs entitled ‘A commoner married a King’.